After 21 days of travelling and 21 mojitos being drunk (give or take), discounting all the beer and other rum based cocktails we drank, we are here to tell you all about our off-the-grid Cuban adventure. We had read various views about this Caribbean Island and had gained insights from friends who had recently visited. Opinions ranged from it being too expensive, constantly being ripped off and bland food, to rave reviews about the people and the culture. As always, we wanted to form our own opinions before the embargo lift (or easing) took its full effect. A place that has long been on our bucket list, far exceeded our expectations. If you go to Cuba with the expectation of it being dirt cheap and that you will be able to live like the locals then forget it. 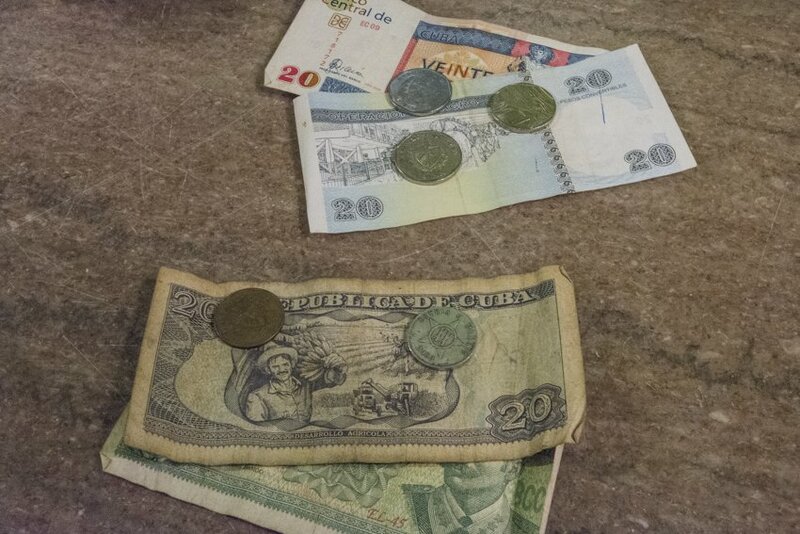 This is because there are two currencies: peso nacional (CUP) that the locals use and peso convertible (CUC) that tourists use most of the time (1 CUC = 25 CUP on the street and 1 CUC = 24 CUP when changing at the money exchange). It is therefore not as cheap as places in South East Asia and Central America. As frustrating as it is, you need to accept that Cubans pay a lot less for pretty much everything if you want to enjoy your time in Cuba. Of course it is possible to use CUPs as a tourist but not for everything. Sometimes tourists pay an entrance fee of 1 CUC and locals pay 5 CUP, do the maths. The next thing we need to clarify here is that even though we back-packed from one end of the country to the other, we lived on a mid-range budget. We stayed in casas particulares (home stays, more on this in this post) the whole time but did not bargain for rooms as we pre-booked all accommodation and wanted to always have a private room and bathroom with air conditioning. We also ate at tourists restaurants, sometimes at the casa and other times in local restaurants, this meant we didn’t always eat as cheap as you are able to in Cuba. 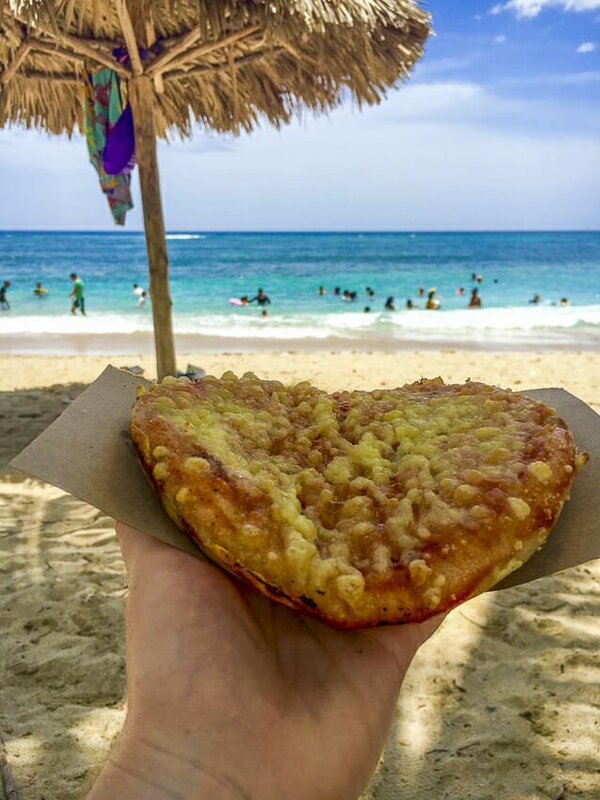 However, if you choose to live on peso food (paid for in CUPs) you will start finding it bland and boring (I never want to eat another peso pizza again). It is cheap for a reason, they use cheap, limited ingredients that are not always bursting with flavour. I mentioned in the beginning that we went “off the grid” during our time in Cuba. This is because we had read a lot and been told about the lack of quality internet available. We made the decision to only take our phones, purely for the time and emergencies. In Cuba, internet does exist but it is expensive and sometimes slow. You have to line up at an ETECSA office (look for the group of tourists out the front) and pay for an internet code. You then need to find a WiFi hotspot but luckily this is pretty easy, look for where hordes of locals are on their phones or making skype calls (normally in the main plaza). I have to confess, I tried connecting to wifi at one of our casas (a rare occurrence) but it was so slow to connect that I gave up. If you are planning to go to Cuba and you don’t speak Spanish I would highly recommend that you go with a fluent Spanish speaker (David was my saviour) or take some lessons before you go. 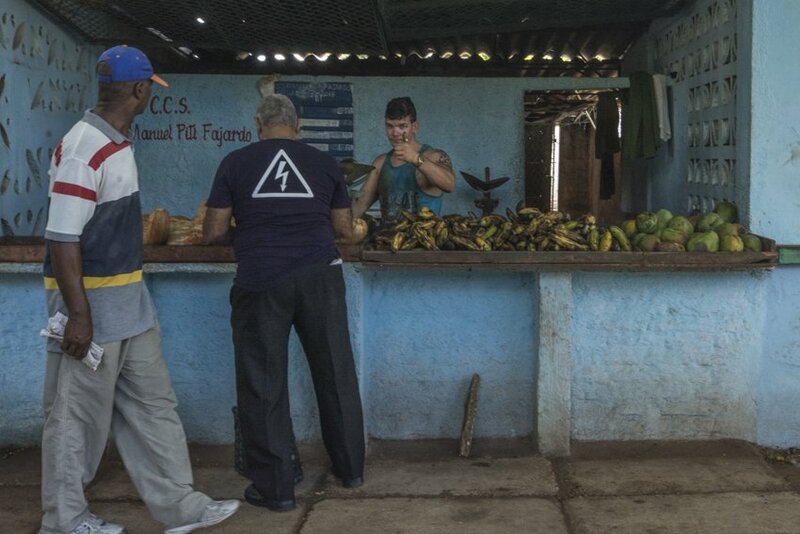 It not only allows you to bargain harder and have a bit of banter in the process and therefore lowering the risk of being taken advantage of, it also allows you to connect with the locals, particularly the casa owners who can be a wealth of information and provide an insight into the “real” Cuba. I have to admit there were times when David was having a deep and meaningful conversation in Spanish about Cuban life that I felt a little left out even though he was translating for me, however I cannot thank him enough for the extensive translating he did while we were there. Ok, now that I have clarified a few things, let’s talk about some of the places that you might want to visit. We flew into Havana (La Habana) directly from Munich with Condor (a cheap German charter airline). After two nights in Havana we went on to Viñales, Cienfuegos, Trinidad, Santa Clara, Camagüey, Santiago de Cuba (all by road) and then flew back to Havana. Below you will find a brief description of each of the towns, and stayed tuned for more detailed posts about each city. Be prepared for Havana to be a bit dirtier and poorer than many other cities in Cuba (at least in terms of appearance). However, it possesses character and a sense of determination, perhaps a reflection of its past. 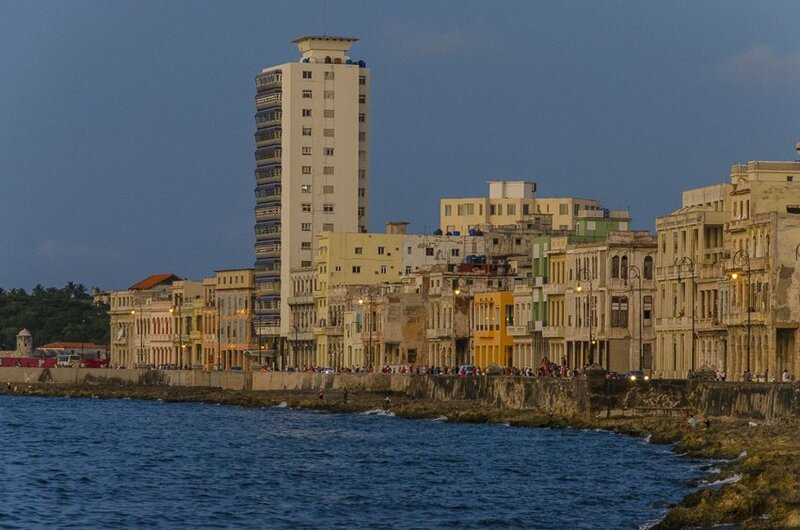 Havana is made up of three main areas: Havana Vieja, Havana Centro, and Vedado. Havana Vieja contains the oldest part of Havana, hence the name (vieja means old). You will see most of the main sites if you walk from Catedral de San Cristóbal de la Habana to Plaza Vieja via Castillo de la Real Fuerza and Plaza de Armas and Plaza de San Francisco de Asis. Havana Centro is where El Capitolio Nacional (was a museum but will soon be the parliament) sits and the Malecón that thrives at sunset. Vedado houses Hotel Nacional and Plaza de la Revolución. 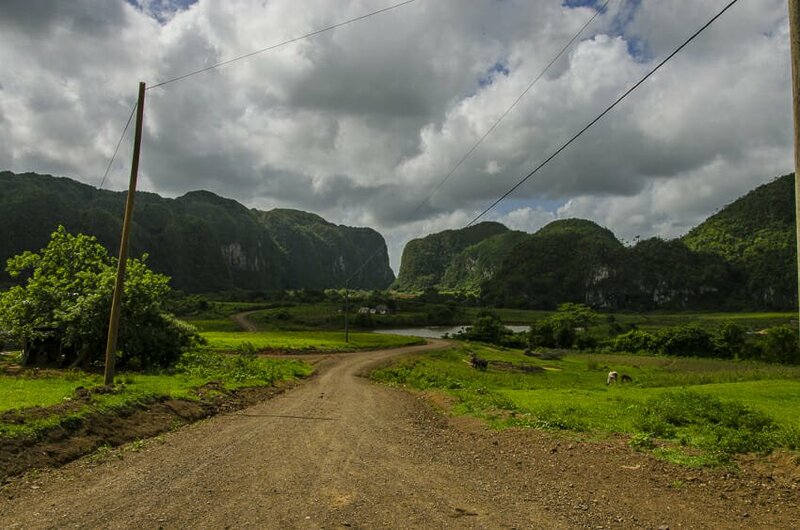 When we came to Cuba we really wanted to immerse ourselves in the local, rural life and we found it in Viñales. Viñales is a small tourist town that has plenty to offer in terms of outdoor activities. Whether it is bike (as we did) or horse riding through Parque Nacional Viñales amongst the towering mogotes , learning about the local fauna and flora and the coffee and tobacco making process on a walking tour or relaxing on the beach at Cayo Jutía, there really is something for everyone. 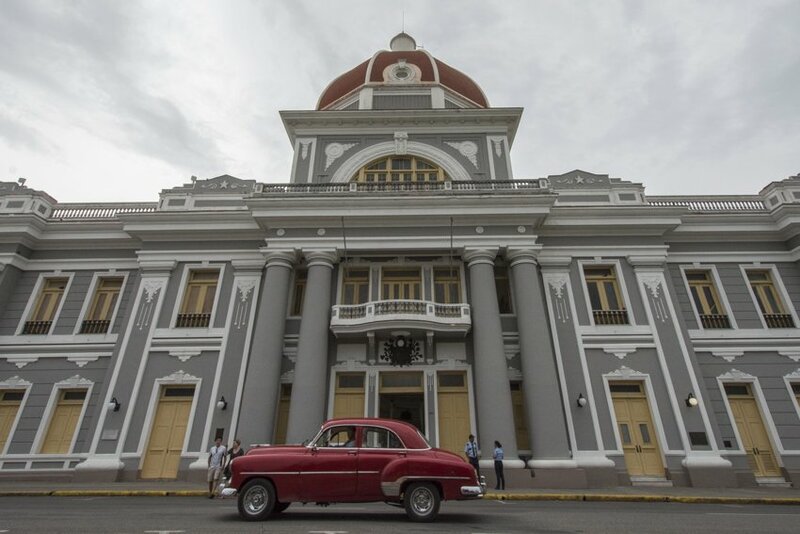 This charming French colonial town has a cute plaza with an impressive theatre (Teatro Tomás Terry) that is filled with loads of character and a cafe on the side that transports you back to the days of Benny Moré (a famous Cuban singer from Cienfuegos) thanks to the regular live music. Most of the town’s main sites are placed around Parque José Martí. The Malecón de Cienfuegos (a walled promenade that is a regular spot for locals to socialise at sunset) joins the main part of town with Punta Gorda, a thin peninsula containing a number of grand, historic villas. 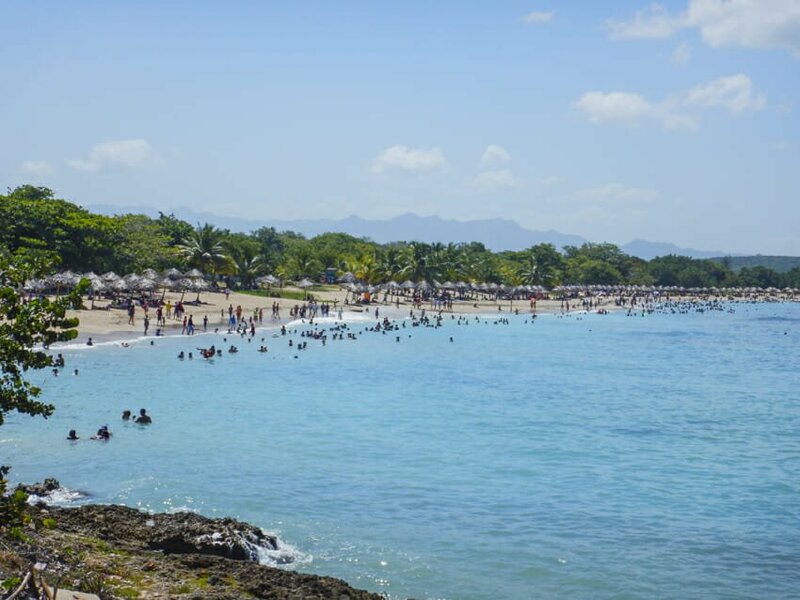 It’s worth a trip to Laguna Guanaroca to see the flamingos and to Rancho Luna, a more local beach where you can also take snorkelling and diving trips. A well preserved, cute, colourful, Spanish colonial town with cobbled streets more suitable for horses than bici-taxis. The Casa de la Musica is always lively with tourists and locals alike. It’s an easy town to navigate by foot. 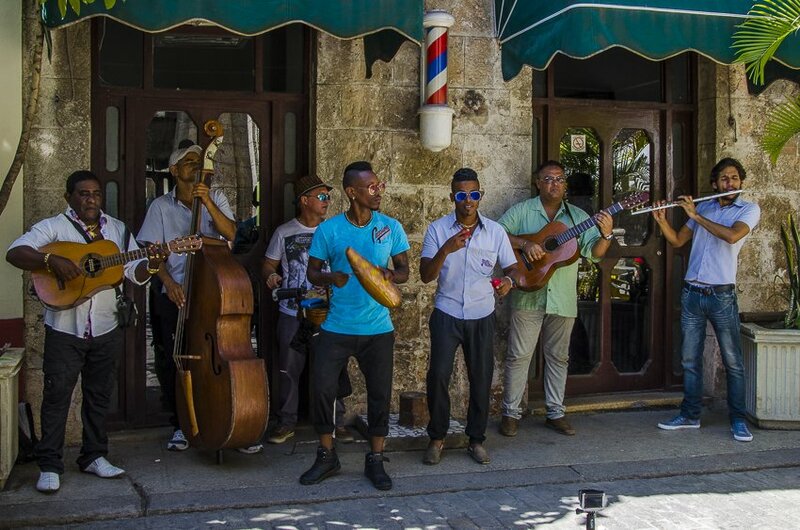 Make sure you walk a few streets back from Plaza Mayor in order to obtain a glimpse into real Cuban life, particularly from 17:00 onwards when kids are playing in the street, people are coming home from work and enjoying the afternoon breeze outside their casas. We can highly recommend taking a salsa class or two so that you feel confident shaking your booty at Casa de la Musica when the sun goes down. 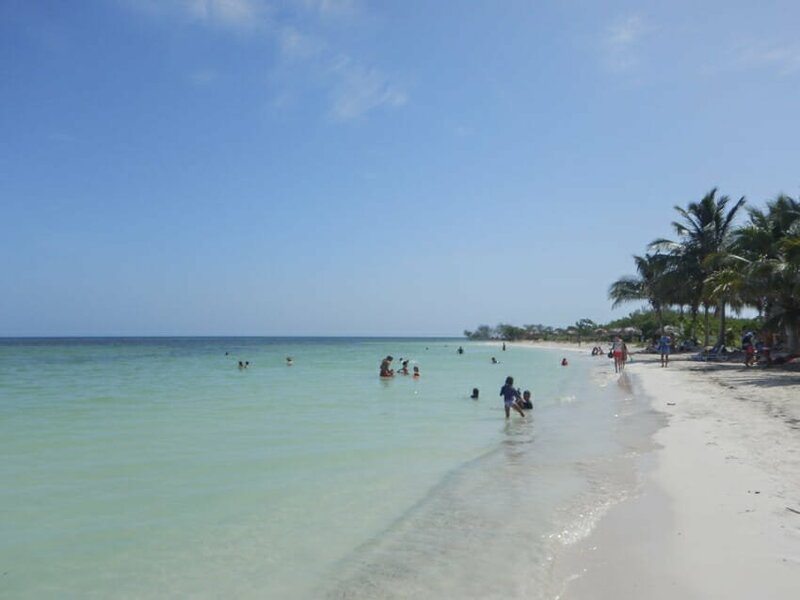 Playa Ancon is a lovely, tropical, white sand, turquoise water beach but be aware it is aimed at tourists. 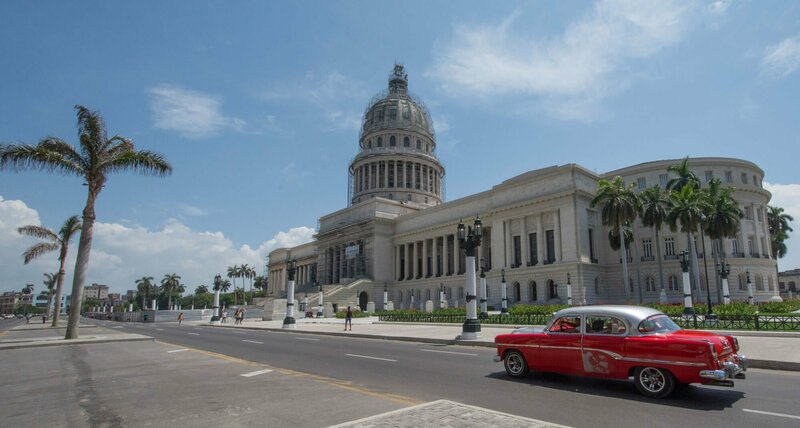 Where Che Guevara is a national icon for starting the revolution in 1958. As is indicated by the Che Guevara monument (Conjunto Escultòrico Comandante Ernesto Che Guevara) 2km from the town centre. The main sites are around Parque Vidal, including Teatro la Caridad (which rivals Cienfeugos’ Teatro Tomás Terry). A visit to the tobacco factory (Fàbrica de Tabacos Constantino Pérez Carrodegua) where you can take a tour is interesting even if it is government controlled. Across the road you can buy some of the famous wares or wait for one of the factory workers to pass by and offer you a better price. For great views of the park below, a cocktail at the rooftop bar of Hotel Santa Clara Libre is highly recommended in the evening. Camagüey is a maze of higgldy piggldy streets and plazas in an attempt to confuse invaders centuries ago. 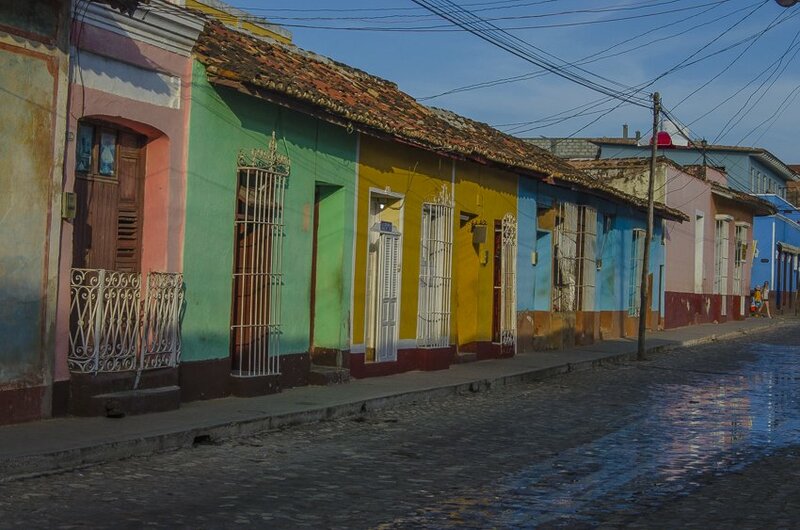 The key to exploring Camagüey is to leave the map at home and to get lost amongst it’s pastel coloured streets and discover the myriad of colonial squares each with it’s own church or cathedral. Who knows, by wandering the streets you may stumble upon all sorts of surprises, like a small park decorated with murals by one of Cuba’s most famous contemporary painters, Ileana Sanchéz. 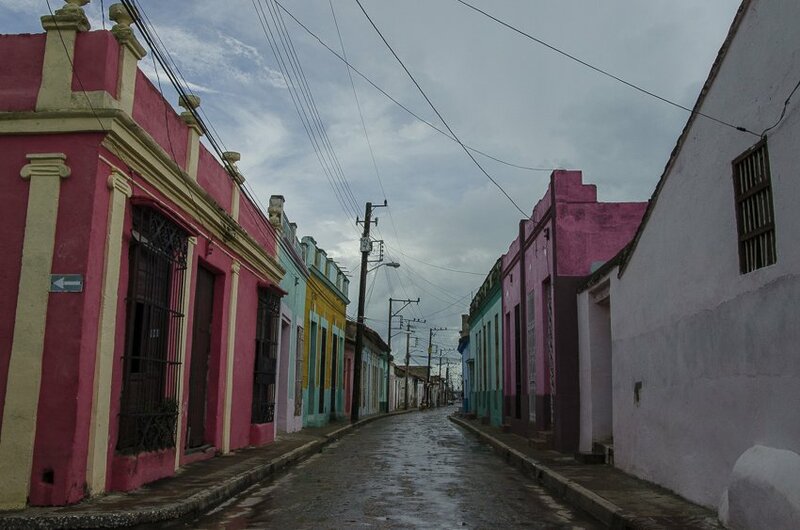 Cuba’s second largest city is noisy, hilly, industrial and filled with revolutionary history. 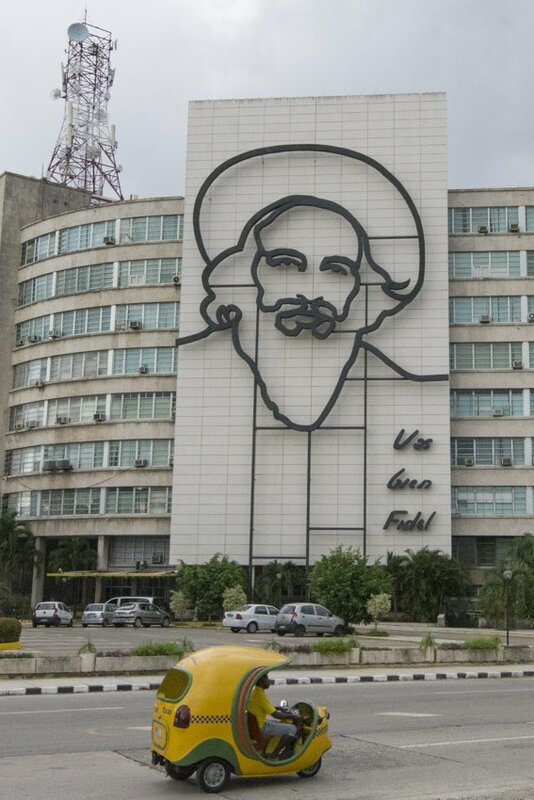 Fidel Castro is to Santiago de Cuba as Che Guevara is to Santa Clara, as this is where certain events took place that ignited the revolution throughout Cuba. 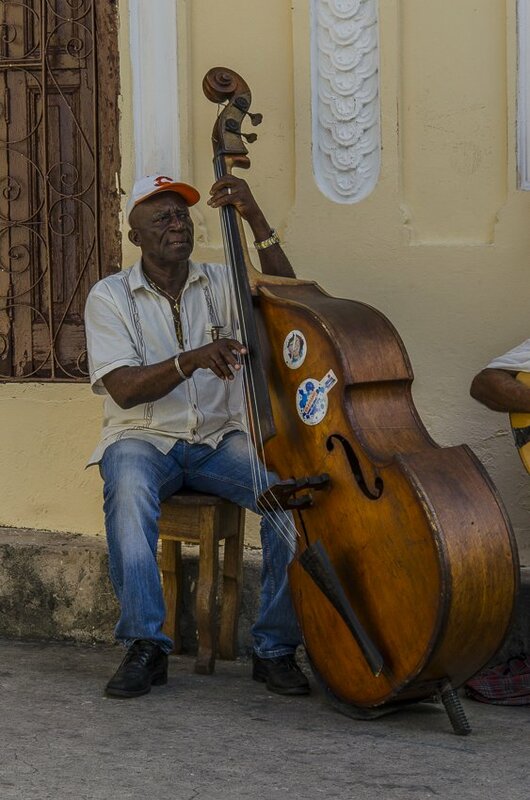 It is also the origin of Cuban music thanks to the mixture of immigrants that called it home over the centuries. 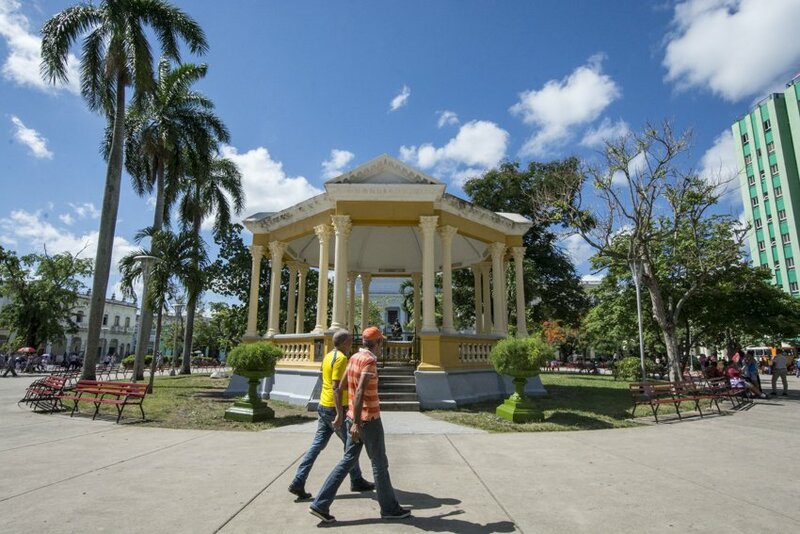 A casual walk from the Malecón de Santiago de Cuba, up through the Haitian neighbourhood, El Tivoli, and onto Parque Céspedes, Plaza Delores and Plaza Martí gives you an overview of the history, art and musical vibe that this lively city possesses. Music and art are the heart and soul of this city. 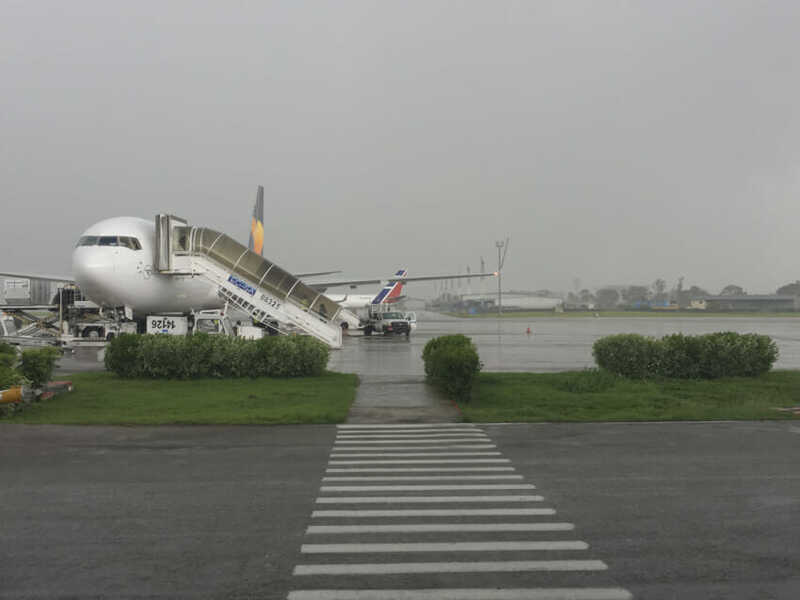 To arrive in Cuba there are direct flights from many European cities such as: Condor from Germany, Cubana de Aviación and Iberia from Madrid, Air France from Paris, Edelweiss (part of Swiss Air) from Zurich, Aeroflot from Moscow and KLM from Amsterdam to name a few. American Airlines fly to Miami, there are numerous flights to other Caribbean Islands and South America. Once you arrive you will no doubt want to travel between at least two cities or towns. There are a number of ways to do this. Internal flights occur regularly between the bigger places. Our flight with Cubana de Aviación was clean, comfortable and safe. 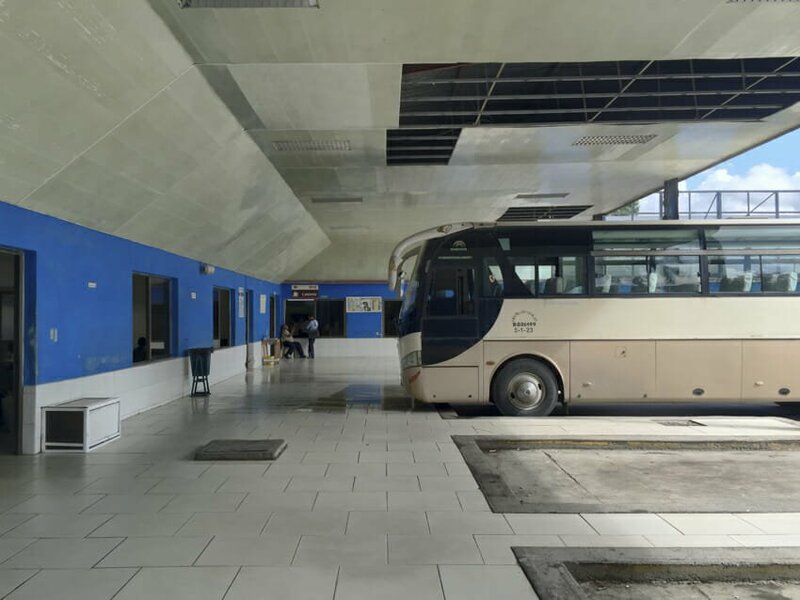 A cheaper option is by bus (but of course longer), whether it be a local (if you are on a tight budget) or a tourist bus (with reclining seats and air conditioning). We travelled with the tourist bus most of the time, mainly with Viazul (more on our dealings with them later) but there is also Transtur (bookable in Havana offices) and Transgaviota (whom we took once). Of course you can rent your own car but be warned, the roads are not in great condition and signage can be poor once you get off the main highway. Apparently it is also a more expensive option. We did meet a couple of people who were driving around so it is definitely possible if you are game enough to tackle the pot holes (or should I say craters). The other road option is a taxi. There are two types: Taxi colectivo and Cuba taxi. The taxi colectivo (they are often old American cars or old Russian Ladas) can be used for short trips around a city or just out of the city, like to the beach, or even from one town to another. You can either go to tourist agents and organise a day trip or flag one down in the street. As the name implies, you will be sharing a taxi with other people and will normally be charged a price person. Cuba taxis are the official looking yellow and black taxis you will find everywhere, especially at the airport (no more than 25 CUC from the airport no matter what they say!). We found that the drivers with older cars were more willing to bargain the price, whereas the newer cars tried charging far too much and less willing to bargain hard. If you are after quite a short trip around a city then you will have a number of options. Bici taxis (a guy basically rides a bike while you sit on a two seater in the back) are found in every city though in places like Santiago de Cuba they will not go too far into the the town centre because it is too hilly. Keep in mind, Cuba is hot for the majority of the year and it is hard work lugging two tourists around. 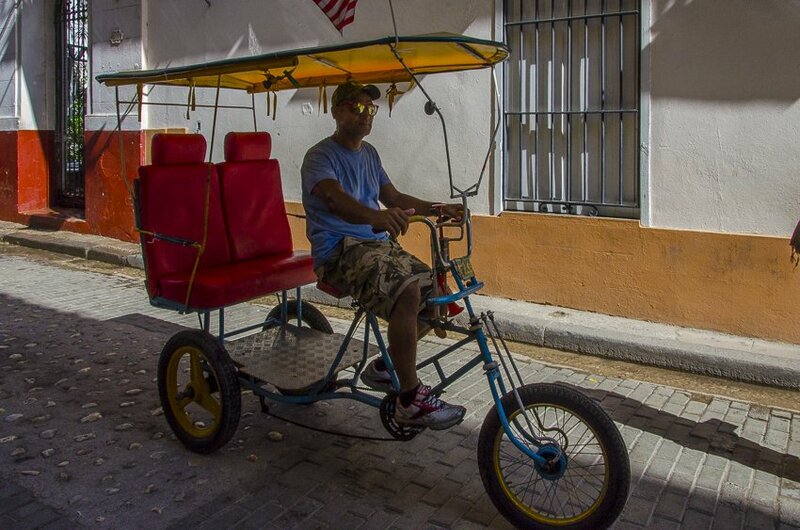 In other places, like Havana, they are a good, cheap way to get around but always bargain hard! In Santa Clara, moto taxis (a small motorised bike with bench seats in the back) were quite popular and allow you to go a little further for the same sort of price as a bici taxi. We never used a horse and cart taxi but this is also another method popular in some of the cities. We also took a cocomobil once, and never again. These are cute looking tourist traps. We had a bad experience where I am sure the guy was tampering with the metre, hence got charged an exorbitant amount for a trip in Havana. If you feel like some exercise yourself you can always rent a bicycle (like we did in Viñales) but keep in mind the rental bikes are not of amazing quality. 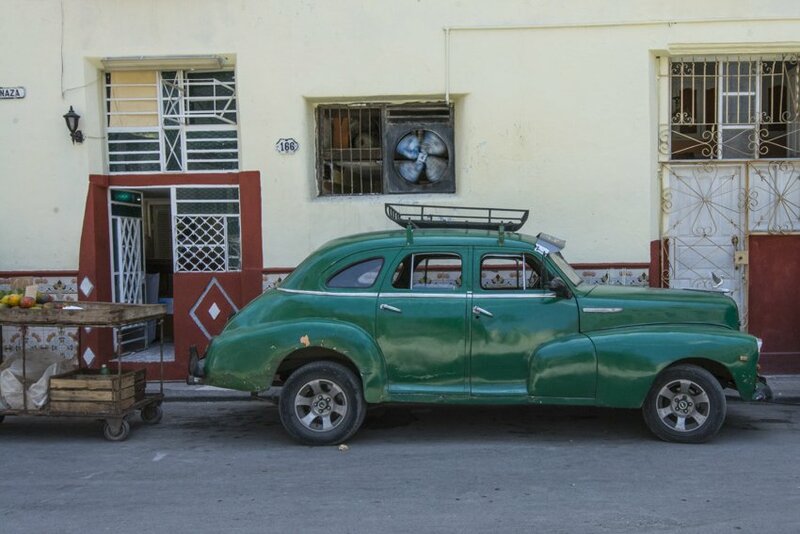 Our first impressions upon arriving in Havana and driving from the airport to our casa was that we had stepped back in time. There seemed to be so many old American cars on the road barely functioning and seeming like they could fall apart any minute. Then there were the old Russian Ladas that made you feel like you were back in Soviet times. Apparently many of the American cars now have Russian engines in them and they also pull the cars apart and take the good bits to make a new car. We very quickly realised that music and dancing is in Cuban’s blood. Rhythm comes to them so instinctively, when they dance they seem to do it so effortlessly that they almost looked bored (I think they are actually concentrating). We took three hours of salsa lessons and I still feel like I look like I am having an epileptic fit when dancing in the same space as a Cuban, it’s embarrassing! You hear music everywhere you go, in every corner of every city. You might walk past what looks like a poor house but they’ll have a damn good stereo system booming out anything from salsa to Reggeatón (Cuba’s version of doof doof music). We really found the people to be lovely, so welcoming and willing to have a chat (though sometimes they also wanted something more from you). In particular, our casa owners were incredibly friendly and helpful in every way possible. In the streets we found that a simple ‘hola’ would normally break the ice and get a ‘hola’ and smile back and sometimes that was the beginning of a conversation. Despite the recent history in Cuba, particularly since the 1990s, Cubans seem to still maintain a sense of happiness and sense of humour regardless of what they think of the current regime. 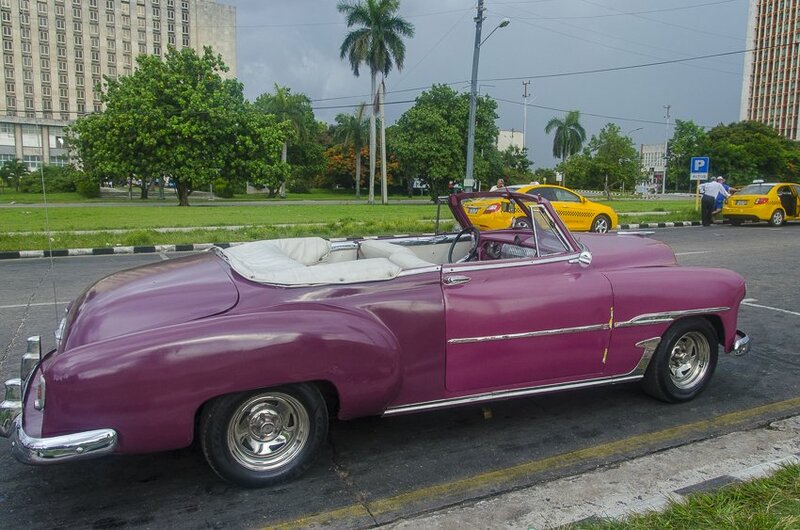 Keep in mind, Cuba was once quite a prosperous country for quite a long time with tobacco, rum and sugar production. There’s a reason so many people tried to invade this small island over the years, including pirates. Cuba possesses beautiful architecture, some of it better preserved than others but even the run-down buildings retain character. There are scenic mountains in various parts of the country and idyllic beaches along the coastline that would fit into any Robinson Crusoe movie. There is so much to enjoy on this tiny island that it is worth putting up with the not-so-perfect idiosyncrasies (more on those to come). Stay tuned for loads more posts on Cuba! Let us know if you have any questions or if you have been to Cuba and can recommend other great towns to visit or things to do. 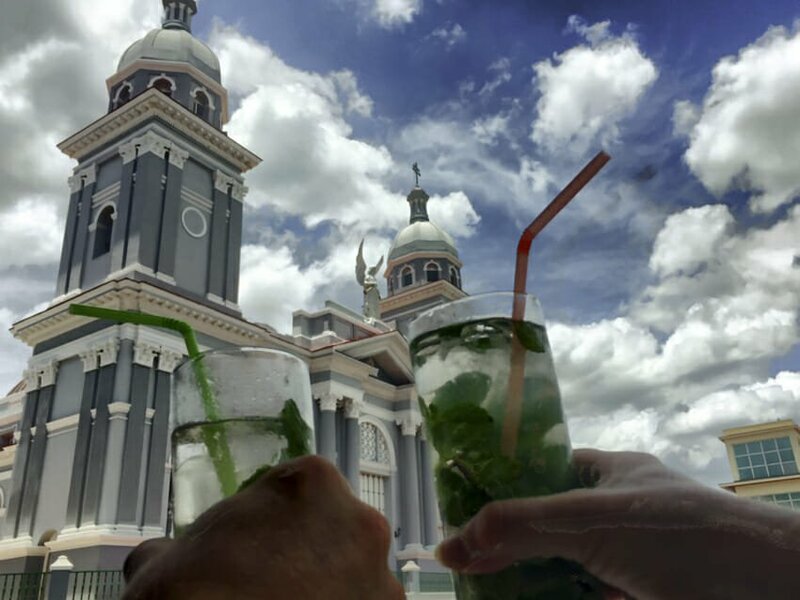 4 Comments on “21 Days in Cuba, In Search of the Perfect Mojito”. Join the Conversation Here! I love a vacation that puts mojitos up front! The pictures were beautiful, thanks for sharing. Ha ha yes Jennifer it was hard work but someone had to do it. We certainly became quite the connoisseur when it came to mojitos. Some of the bartenders turned the preparation into an art form. Glad you like the pictures. Stay tuned for more! Really a wealth of information here. It’s good to know and have a realistic idea of costs there. I bet most people assume it’s very cheap. Sounds like we’ll have to go there and try a salsa class!